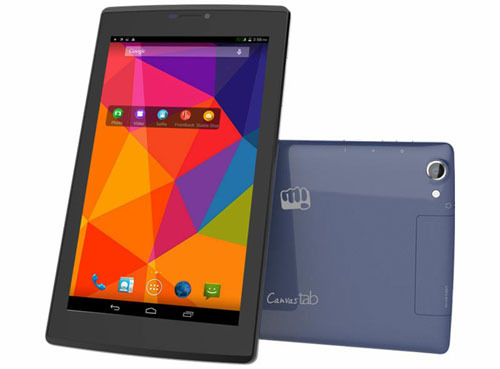 Micromax has launched its latest tablet pc termed Canvas Tab P480 which is expected to hit the store till last of April. Features which make it apart from its competitors is it has got dual sim slot, Voice calling and supports 3G connectivity and has been priced only Rs. 6,999. It will be running on Android Kitkat OS v4.4.2 with confirm update to Android Lollipop v5.0. It has got 7-inch widescreen with pixel resolution of 1024 * 600. Tablet has been powered with 1.3 GHz MT8382W/M quad core processor based on Cortex A7 coupled with 1 GB of RAM. It packs 8 GB inbuilt storage with option to expand it via. microSD upto 32 GB. Connectivity includes Wi-Fi, 3G, Dual sim, Voice calling, Bluetooth, GPS, microUSB & OTG support. It has been embedded with sporting camera of 5 MP autofocus as rear and 2 MP fixed focus camera at front. Battery is of 3000 mAh, which has been rated to perform 9 hours of talktime support on 2G network and 169 hours in standby. 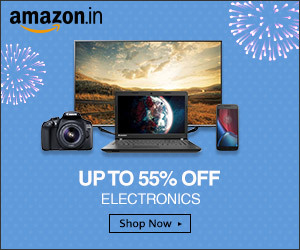 When talking of the Tablets to buy within cost of Rs. 10000. We would prefer this tablet as it cost only Rs. 6,999 and has its service center all around India. If you want to make comparison of Tab P480 to another tablet with respect to its specs. It would cost you around above Rs. 15,000.